Zympay and ZB Bank have partnered to make it easy for Zimbabweans in the diaspora to pay school fees for their families and relatives back home. Zympay is a cross-border remittance payments platform where Zimbabweans in the diaspora can send money and make bill payments for family and relatives back in Zimbabwe. The partnership with ZB Bank offers schools, universities and colleges a secure digital payment solution that ensures that fees are paid on time, directly into their ZB Bank account with all reference details available. The solution offers peace of mind to the sender as it eliminates the middleman and affords the sender further value through the 7 percent incentive from the RBZ. Zimbabwe is a unique country and prides itself in having one the most educated population on the continent. Families in Zimbabwe value education as one of most important goals in life to the extent that families might cut down on food and living expenses but will not compromise on education. For many years, people in the diaspora have played an important role in making sure their family members and relatives acquire education in the hopes of a better future. With the financial problems faced by many families, some of the money sent for school fees by relatives in the diaspora is diverted for other uses. In most instances, the money is traded on the black market without a regulated rate, and there is also the risk of being conned by the forex traders. Zympay has been searching for a regulated solution that gives the diaspora sending money home at least $2 value for each GBP1 they send home to pay school fees or buy groceries for families at home. We also wanted to find a way for the schools to get the payment directly without the money going through a middleman, with no charges, and also to provide an instant receipt so that the sender knows for certain that the school fees have been paid. Most importantly, Zympay wanted to find a way to address the cash shortages as well as the parallel market. Zympay is providing a solution on its platform. People no longer have to stand in queues to pay school fees. There is no need for family members to change US dollars for parallel funds on the black market. All you need to do is just pay in three easy steps on the Zympay online service and android app on Google play. 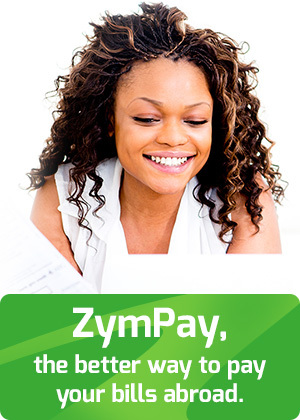 You simply need to register at www.zympaydirect.com, select Zimbabwe, select Education and pay using your bank debit or credit card. It is as easy as that and can be done from the comfort of your sofa while watching your favourite television show. The sender will get an email receipt with details of the school and the pupil’s details. For each school fees payment, you get rewards too, which are beneficial to both the school you are paying fees to, and you as the sender. The student’s school account gets cash credit instantly for the 7 percent of fees paid for next term. The school gets 10 percent Gain Grocery vouchers that they can use to go and buy catering supplies to feed the children. Remember, an empty belly makes for poor concentration by the student! The Schools Direct promotion is combined with a partnership with GAIN Cash and Carry, which has over 60 branches nationwide for you to redeem your rewards. Zympay currently has a special promotion running. The first 20 people to pay for their school fees under the School’s Direct promotion will receive a$100 shopping voucher to spend at GAIN Supermarkets. Zympay is providing solutions and the control, comfort and clarity of where your money is going is just a few clicks away.